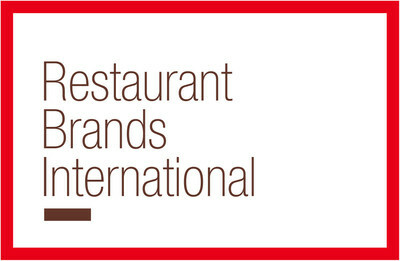 OAKVILLE, ON, Aug. 1, 2018 /CNW/ - Restaurant Brands International Inc. (TSX/NYSE: QSR, TSX: QSP) today reported financial results for the second quarter ended June 30, 2018. This press release contains certain forward-looking statements and information, which reflect management's current beliefs and expectations regarding future events and operating performance and speak only as of the date hereof. These forward-looking statements are not guarantees of future performance and involve a number of risks and uncertainties. These forward-looking statements include statements about our expectations regarding our progress implementing initiatives under our "Winning Together" plan and the drivers of comparable sales over the long run; our expectations and belief regarding the long-term growth potential for each of our brands and our focus on improving guest satisfaction and franchisee profitability; and the amount and timing of PLK transaction costs. The factors that could cause actual results to differ materially from RBI's expectations are detailed in filings of RBI with the Securities and Exchange Commission and applicable Canadian securities regulatory authorities, such as its annual and quarterly reports and current reports on Form 8-K, and include the following: risks related to RBI's ability to successfully implement its domestic and international growth strategy; and risks related to RBI's ability to compete domestically and internationally in an intensely competitive industry. Other than as required under U.S. federal securities laws or Canadian securities laws, we do not assume a duty to update these forward-looking statements, whether as a result of new information, subsequent events or circumstances, change in expectations or otherwise. Adjusted EBITDA is defined as EBITDA excluding the non-cash impact of share-based compensation and non-cash incentive compensation expense and (income) loss from equity method investments, net of cash distributions received from equity method investments, as well as other operating expenses (income), net. Other specifically identified costs associated with non-recurring projects are also excluded from Adjusted EBITDA, including PLK transaction costs associated with the acquisition of Popeyes, corporate restructuring and tax advisory fees, and office centralization and relocation costs. Adjusted EBITDA is used by management to measure operating performance of the business, excluding these non-cash and other specifically identified items that management believes are not relevant to management's assessment of operating performance or the performance of an acquired business. Adjusted EBITDA, as defined above, also represents our measure of segment income for each of our three operating segments.